But first of all you and me have to agree upon something. We both know public speaking is too damn frightening!!! At least for me, the first couple of times I attempted to talk in front of many people, I felt collapsing from anxiety. You might be, or was in the past, at the same situation with me. I’m here to tell you, fear NOT, because when you master the public speaking secrets you will read below, your public speaking career will turn out to be full of enjoyment. This will give you a lot more energy and courage to focus on the important parts of your message and reach more people in the process. Now before I get deeper into the top 9 public speaking secrets I mentioned in the video, I would like to tell you about Carmine Gallo’s book named “Talk Like TED”. I read this book about 3 months ago and begun applying these public speaking tips, taken directly from the most successful TED presentations ever! Audience likes to connect with passionate, inspiring persons and as science has proven already – passion is contagious. The more passion and energy you instill in your presentation the greater the chances to persuade and inspire your listeners. Especially if you have a passionate, meaningful and enthusiastic connection with your topic. Telling stories will skyrocket you to the pantheon of superstar speakers. This is because stories stimulate and engage human brain. Using stories during your presentations will help you connect with your audience and make it easier for them to agree upon your topic. This is one of the most important public speaking secrets ever. Your presentation needs to be so relaxed and comfortable as having a conversation with a close friend. Only after you have bonded emotionally with your audience – at a level which they feel they can trust you – only then true persuasion can take place. If your body language is inconsistent with your voice and message, your audience will subconsciously understand that something is wrong and distrust your message. Human brain loves fresh ideas and news in general. It’s not difficult to understand that a presentation that reveals completely new information or information packaged differently will intrigue your audience. Offer a fresh and novel way to solve a novel problem to give your audience a new way of looking at the world. When delivering a presentation, it is wise to include a jaw-dropping element. This jaw-dropping element is usually when a public speaker provides a stunning, amazing, or maybe astonishing moment that is so mesmerizing and unique, it grabs the audience’s interest and can be recalled long after the presentation has ended. Jaw-dropping moments create what neuroscientists name as a highly emotion charged event. A heightened state of emotion which makes the presentation’s message engrave deep inside the audience’s memory, thus they will remember and act on it. We all hate pure professional, Powerpoint presentations where everybody is tight-sited and humor is a reason to get fired. So don’t take yourself (or your topic) too seriously during the presentation. Human brains adores humor so give the audience something funny to smile about. Humor lowers our defenses, thus making an audience easily receptive to your message. It also makes you seem more likable and as you know, we all like to do business or support people we tend to like. Jenna Goudreau writes on Business Insider about the 7 Public Speaking Secrets From The Most Popular TED Talks. Through many years of successful TED presentations, it has been proven that 18 minutes is the ideal length of time for a presentation. If it is required to create a longer one, it is highly recommended to build in soft breaks (stories, videos, demonstrations) every 10 minutes. Studies have shown that our “cognitive backlog”, prevents the successful transmission of too much information. Bottom-line, the 18-minute rule is long enough to be serious and short enough to keep the audience focused. If possible try to create presentations including components that touch more than one of the senses: sight, sound, touch, taste and smell. Human brain does not stay focused at boring things for much time. However it is nearly impossible to get bored if you’re exposed to stunning images, exciting videos, intriguing props, beautiful words and multiple voices delivering the presentation. Our brain craves multi-sensory experiences, so prepare to give as much as you can. Authenticity always wins. When delivering a presentation, always try to be authentic, open and transparent. Reason is that most people, we are programmed to spot a fake move or message through our body language, the sounds we make when we talk and even our smell. If you try to be something or someone you are not, the audience will quickly understand and you will fail to gain their trust. “Train The Trainer” 3-day event may be one of the best ways to learn all public speaking secrets and techniques directly from the experts. It is organized by Peak Potentials throughout the world and you will have to first go through a Millionaire Mind Intensive event to gain the opportunity to register for “Train The Trainer”. In TTT (aka “Train The Trainer), the instructors mostly focus on training you to become better than a public speaker. They train you to become a successful trainer and in my opinion this could be 10 times better. I mean, would you like to talk alone, standing still on a stage or really do the work with your audience and move along with it? Let’s start (again), shall we? Always work the audience through demand and response. You demand something and your audience has to respond. The opposite can happen when there are questions which you will see how to handle in the process. Here are six psychological secrets to public speaking from Michael Hyatt. Learning how to change the state of your audience will amazingly help you to maintain increased energy throughout your presentation. You can control this by asking your audience to exchange some hi-fives (to increase the energy) or relaxing and taking some deep breaths (to decrease the energy). Questions from the audience is an important part that will test your composure in front of them. When you have a question from the audience, you need to move at the opposite side of the stage from where the question comes. You need to do this to create a triangle between all of your audience and the person which is asking the question while you are on top of the triangle. This way you control your audience at all times. Now here is the part which makes public speakers tremble from fear. What if you don’t know the answer to a question from your audience? Well, it’s ridiculously simple…you just need to turn to your audience again and ask, “If someone knows the answer from the audience”…chances are that there will be a geek inside the audience that will definitely know the answer. Often times there is a flip-chart or a whiteboard during a presentation. When you write on them, hide the letters with your body (stand in front) to create curiosity. Plus ALWAYS use 2 or more colors to make your letters interesting to your audiences eyes. Another important part of a presentation (if you plan to sell something) is testimonials and reviews of what you are trying to sell. Here is what the psychologists claim and the team behind TTT confirms it. Printed words connect with logic while written words connect with your audience’s heart (their emotions). So try to use hand-written text as your testimonials to increase your chances of selling. Always remember, as a trainer or public speaker not everybody will like your style and that’s ok because you can focus on the people who are really interested to learn more and take their lives to the next level using your message. What you do when your audience murmurs that you are trying to sell them something? Most public speakers and trainers would fall back from anxiety and go into a defensive mode (which is worse if you want to sell). Well here is a great answer you could give to this, “I’m NOT selling you a course!!! I’m selling you a life choice”. Loved it! Entering the stage, stand still and scan your audience. Try to “feel” them, breath deep, increase your confidence and let’s roll! Before your presentation, you should create 2 enrolling questions. These questions need to be designed in order for your audience to get 100% involved. i.e. “Who wants to make more money here?” After scanning your audience, go ahead and ask these questions holding up your hand to make your audience model you. This is easy. Now is the part where you welcome your audience and express your gratitude for taking the decision to participate and listen your presentation. Here is John Zimmer’s article about 23 Public Speaking Secrets from the Greats. This comes from the phrase “What’s In It For Me”. Now is the time to explain to your audience what you are going to teach them and what the results will be, for them, after applying your teachings. After is the part where you mention why your audience should listen you? What makes you expert on your field? Here is where you earn the right or the permission to share you story with your audience. Finally, we’ve made it to the end. You are AWESOME! Please don’t forget to like and share this post as well as participate to the Millionaire Mind Intensive life-changing experience. This is the only place that you can get access to “Train The Trainer” event which will teach you tons of public speaking secrets. Public speaking is a skill the more you do it the better you get and your nerves melt away. The more you practice a skill the better you become to it. Well if you consider that every time we talk to a gathering of friends or family it’s like we are publicly speaking…knowing the secrets of public speaking can be a great asset. I was intrigued by this also. It seems that we need to go against the common rules and just be ourselves. Nicely said, Vasilis, we all have the ability to be a better communicator. 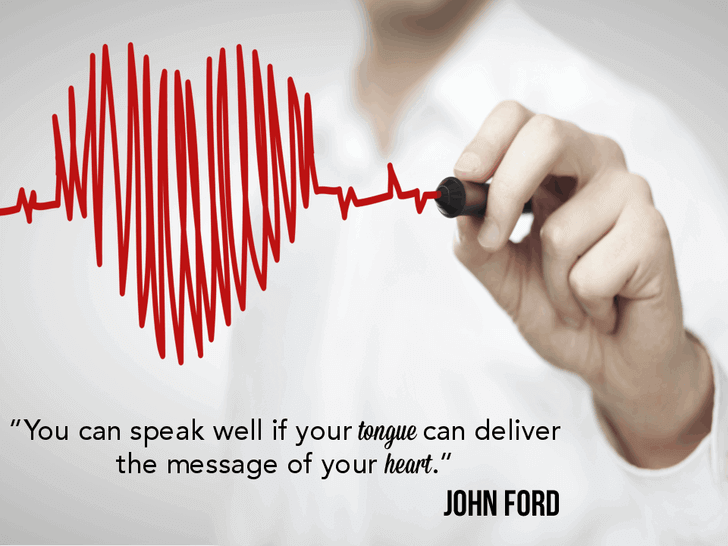 The first step is to go out and start speaking. I will suggest joining ToastMasters! Exactly Lorraine. I will definitely check it out. Great share Vasilis. You have painted a great picture from unleashing the master within through to stay in your lane. Public speaking is something I recommend to all my students because it allows them to grow and get past one of their biggest fears. These steps will help anyway have a breakthrough. You are totally correct and it’s great that you are teaching public speaking to your students. A very important skill to posses. I like the tip on including multi-sensory experiences. It’s easy to forget that our minds aren’t all wired the same way – some people are “visual”, others “audio” and yet others work on gut feel. Including all those senses in your presentation will increase audience engagement no end.